A local street is seen in this picture. Food trade between Pakistan and India should not suffer — even when they search for peace on the border. Food commodity markets remained apparently smooth during and after the breakout of a war-like situation between India and Pakistan at the end of February. The situation has since seen some de-escalation. But it is naïve to expect that it will be business as usual anytime soon. Till a new government takes over in New Delhi in June, one cannot expect anything better than a tense calm. Still the decision-makers on both sides of the boarder have a responsibility to keep bilateral food trade unaffected in the interest of 1.37 billion Indians and 210 million Pakistanis. Both Pakistan and India import food items from each other. The volumes depend on the urgency of the need and the extent of demand in importing countries. Being geographically close, traders on both sides try to benefit from the economy of trade. But it is the security situation that defines the frequency and smoothness of trade. Time and again, we have seen deterioration in the Pakistan-India relationship. Whenever it happens, food trade through land routes comes to a standstill. That takes a toll on the markets, deepening the shortages of the items whose supplies from the other side of the border stop. This time, barter trade between Azad Jammu and Kashmir (AJK) and India-occupied Kashmir (IOK) was affected soon after the Feb 14 Pulwama attack. The Indian air attack inside Pakistan on Feb 26 and Pakistan’s retaliatory strikes the next day initially brought this trade to a halt. Vegetable supplies under this arrangement, which are always in excess of specific requirements of AJK, sneak into Lahore and Islamabad markets. So the halting of trade created shortages of onions and garlic in Punjab after a time lag. 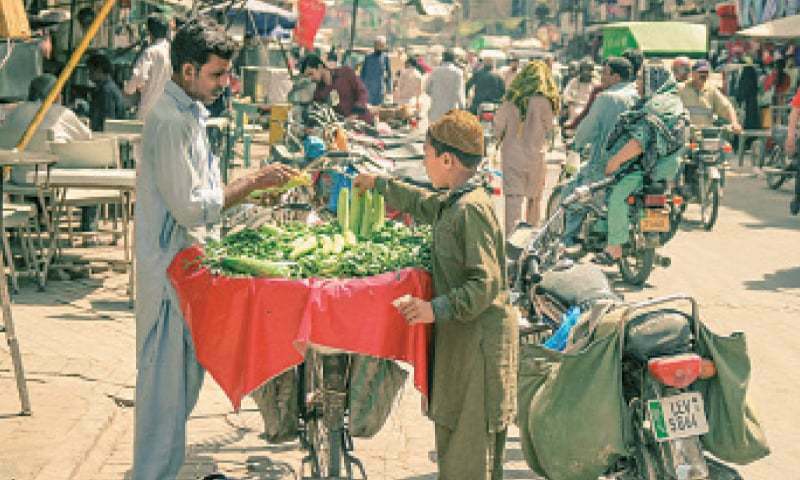 But according to Chaudhry Khalid Mahmood, general secretary of the Traders Association of Badami Bagh Fruit and Vegetables, the recent de-escalation has reactivated the cycle of vegetable imports under barter deals from IOK to AJK and their ultimate landing in Punjab-based markets. This shortage could have been further aggravated due to the initial suspension of trade after Feb 26 through the Wagah-Attari border had the imports of Indian vegetables in general and those of tomatoes in particular not been banned. According to the patron-in-chief of the All Pakistan Fruit and Vegetable Exporters Importers Association, Waheed Ahmed, Pakistan has not been importing Indian tomatoes for three years as they were found infected with viruses. In the past, Indian onions, garlic and other vegetables imported via the Wagah border or through AJK used to help maintain supplies in Pakistani markets. Luckily, Pakistan’s vegetable production this year is strong. We are actually facing a potato glut. But the case of onions and garlic is different. For years, Pakistan’s garlic output has remained short of demand and we have been importing it from India and China. This year is no exception. So supplies of garlic were affected for just a brief period in which trade via both Wagah and AJK remained suspended, vegetable wholesalers say. Food trade between neighbouring countries is natural also because of similar tastes and requirements. For Pakistani traders, it is easier to import pulses and peas from India rather than the United States, Australia and Canada. For Indians, it is equally easy to import wheat or sugar from Pakistan rather than the United States or Brazil. For Pakistan, open access to Indian, Afghan and Iranian markets for food exports is becoming important as intra-region trade, particularly of food items, is gaining currency. But it is unfortunate that security challenges and geopolitical situations impede growth of such trade. A changing security situation on the Pak-Afghan border, imposition of US-sponsored sanctions on Iran and the difficulties involved in taking advantage of the exemptions available under these sanctions and permanent hostility between India and Pakistan keep our trading scope with these countries limited. Pakistan does not face such challenges in the case of China. But from there our food import options have remained limited mostly to wheat and prepared food products, including noodles. In the case of India, our options are vast — ranging from spices and pickles to confectionary and chocolates and whatnot. The withdrawal of the status of the most-favoured nation (MFN) of Pakistan by India and the imposition of up to 200 per cent customs duty on imports from our side had brought our exports of dates, dry dates, fruits, spices and some prepared food items via the Wagah-Attari border to a halt. 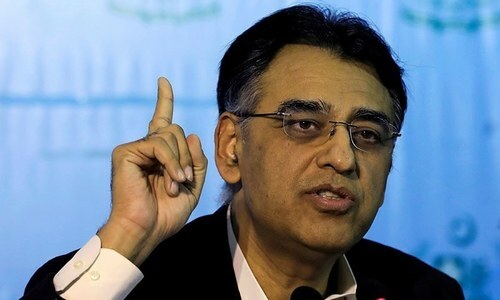 They say that the Indian buyers were not willing to claim goods imported from Pakistan as they were opposed to pay 200pc duty all of a sudden, which meant a huge financial loss for them. Traders say they hope that with the de-escalation moves gaining momentum and on the pressure of its own trading community, India will reconsider the decision of imposing 200pc duty Pakistani goods, particularly food items. Inquiries made at Jodia Bazaar, the main wholesale commodity market in Karachi, showed that the situation would become clear after a while when new orders of commodity imports start pouring in from India. However, some traders suggest that if India does not bring down the customs duty on imports from Pakistan, we should pay them back in the same coin. But it will be unfortunate if both countries engage in a tariff war particularly if that comes with no exemptions to food items. That would be a negation of some good things like the setting up of the South Asian Association for Regional Cooperation (Saarc) food bank to ensure food supplies in the Saarc region at times of need. In January, Pakistan even doubled its wheat contribution to the Saarc food bank to 80,000 tonnes. Sorry but 1.3 billion people do not depend on food stuff from Pakistan. Dates and dry fruits are not basic food items that Indian’s cannot do without. For 23 years India had given MFN status to Pakistan which was never reciprocated. Well, now it is gone. India will not find an unreciprocated MFN status to Pakistan again. Do not expect that Indian government will bow to pressure from a few traders from Punjab and Kashmir on this issue. India had given MFN to Pakistan 20 years ago but no reciprocation. Who is responsible for this state of affairs? India is not dependent on pakistan for food items. Gone are the days of congress. India is a wheat expirting country. Infact there are no sugar in pakistans utility stores. India also exports large and different variety of rices. Reading the article one thing is certain. High food inflation going forward especially in perishable items. Not much so in wheat and rice. There is much goodwill in the hearts of common Pakistanis for Indians and vice versa. Put all issues in a deep freeze for 10 years. Surely the next generation will be better than us in resolving these. Let both nations people prosper. India doesn’t depend on Pakistan for anything. Go ahead impose some tariffs on exports from India. We would ideally like the trade to stop altogether. Indian Govt should allow export of tomato, chilly etc to alleviate the sufferings of common people in Pakistan. India is the worlds largest producer of sugar. Why would we import it through Dubai?? Healthy trade and economic dependence on each other is the only way to ensure no hostilities between neighbors. Sane politicians on both sides should strive for that.